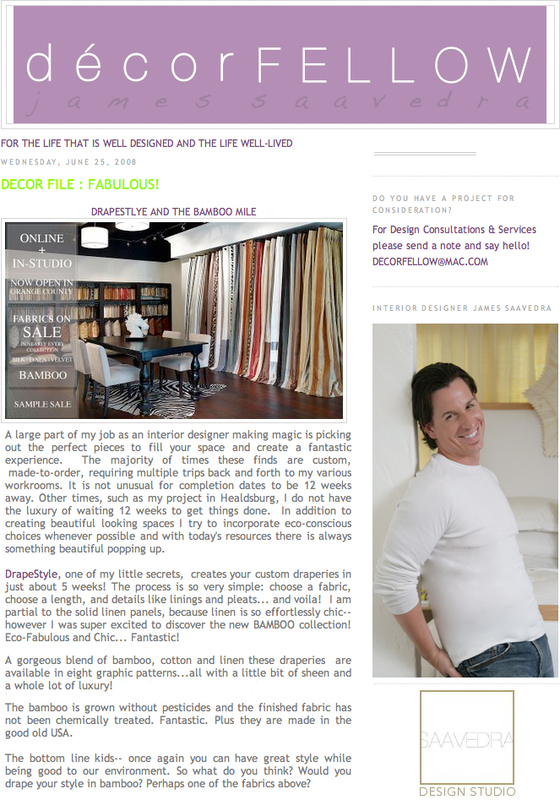 "DrapeStyle is Beautifully Made to Order"
"DrapeStyle Wins "Best of Houzz" for Client Satisfaction!" "The Houzz Community recommends this professional." "This professional's knowledge and advice is highly valued by the Houzz community." "Tell us Your Best DIY Solutions..."
"DrapeStyle, one of my little secrets..."
"Black and white alone can create a sterile, sharp and often harsh contrast, but add in the soft lines and patterns of the Zebra print; mix in shades of silver, platinum and slate with just the perfect touch of crystal sparkle and you&apos;ve got the recipe for a glamorous, feminine inspired, interpretation of sophisticated modern design." "DrapeStyle&apos;s new retail store located at the StoneMill Design Center in Costa Mesa is simply gorgeous. Literally hundreds of..."
"These gorgeous panels are made of a blend of bamboo, cotton and linen, and they are as chic and sophisticated as they come. They are also very customizable: Get them in any style that you like, from flat panel to rod pocket, grommet or one of several pleats. "This fresh and contemporary new trend for Window Treatments is brought to us by DrapeStyle, a leading manufacturer of luxury drapery in America. The new trends are a departure from the more traditional looks that dominated 2007, with an emphasis on bold fabrics and colors focusing on expressive personal style and individualty." "Drapes a Panda would Love"
"I split my time between LA and Paris ... and I furnished both my homes with DrapeStyle and was quite happy with the quality (they use top tier materials). Their silk drape are luscious ... colors to die for ... I put the zebra drapes in my bedroom ... it raised some eyebrows from my designers ... but I like them." 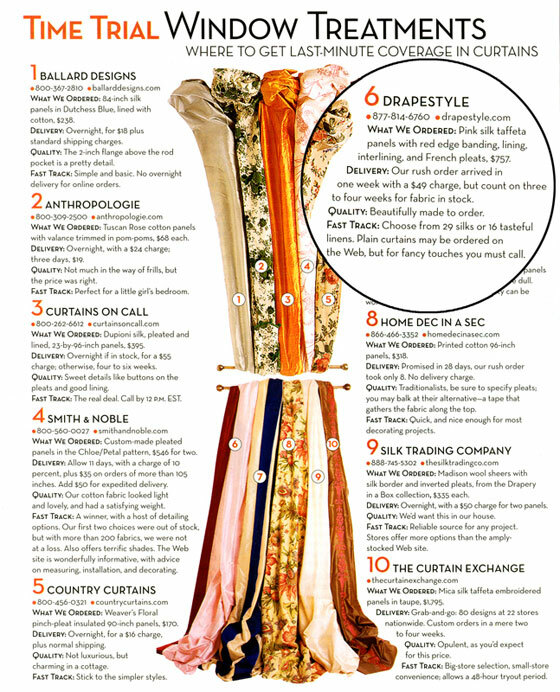 Drape Style has so many luxurious drapes! "Try giving your room a modern, clean and simple update with animal print drapes whether meshed within metallic, bronze, chocolate, black and white, or a bolder color, its whats new for 2008."